At long last, Ntel has finally extended their service to the people in Port-Harcourt, after many months of fasting and prayer. Ntel has officially started business in Port Harcourt, and have also listed places in Port Harcourt where you can pickup your Ntel Sim card. Where Can I Pickup My Ntel Sim card in Port Harcourt? Currently, there are two places in Port Harcourt where you can get your Ntel Sim card. Or Pick up your SIMs at Houston Tech ltd, 8 liberty Drive, Alcon Rd, Woji. For enquiries call 08044440152 or 08044440153. 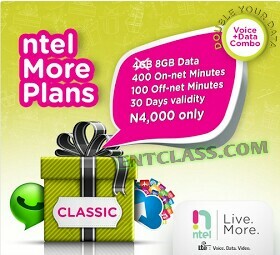 You can also check out the official ntel data plans and price Here. Their network covers across Portharcourt city and villages. You need a 4G enabled smartphone that support ntel's 4G band before you can enjoy ntel 4G speed. People in Port-Harcourt city, hope you all are ready to experience the real power of 4G LTE speed? Where to get an Ntel Sim card in Portharcourt. Where to pickup an Ntel Sim card in PH. Location to buy ntel sim card. Ntel is live in Portharcourt. Why is it now that i have left ph city that they now decided to come there. Anyway though i will still make use of them when am back there.